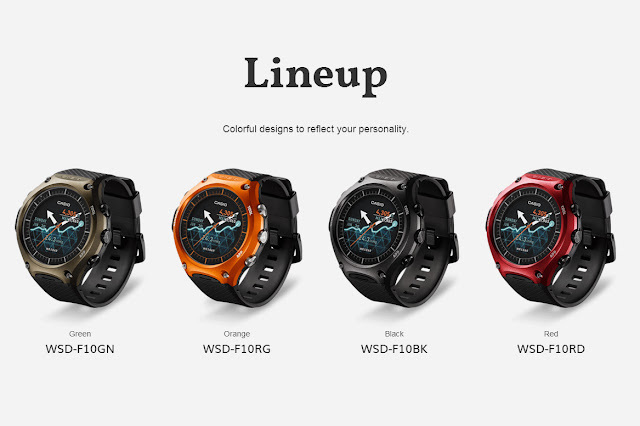 Casio finally joined the smartwatch bandwagon with the introduction of its rugged Smart Outdoor Watch. Built for adventurers and outdoor enthusiasts, the Casio Smart Outdoor Watch is water-resistant up to depths of 50 meters and compliant with MIL-STD-810G. It comes with 1.32-inch display of 320 x 300 pixel resolution with a noticeable "flat tire" design on the interface a la Moto 360. The cool thing about this smartwatch is that it has two interchangeable displays: a primary color display and a secondary monochrome LCD. The latter can be enabled if you just want to display time. It also extends the smartwatch's battery life up to one month. 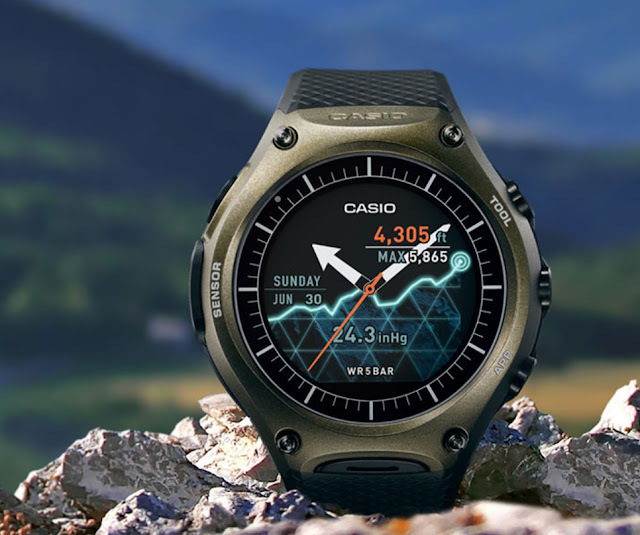 The Casio Smart Outdoor Watch has several sensors like a microphone, pressure sensor, accelerometer, and compass. It monitors altitude, air pressure, directions, exercise and sleeping patterns, etc. It runs Android Wear and is compatible with many Android devices and even iPhones running iOS 8.2 or higher. What makes it a tough buy though is its price, which is around $500. Interested?